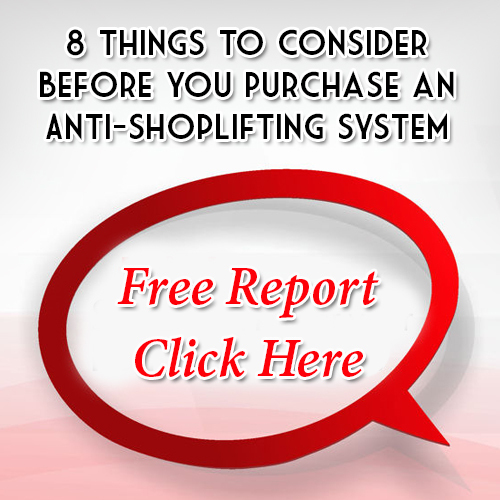 Is New Technology More Effective To Stop Shoplifting? Okay folks I am just going to say this, all of our new fancy technologies are just interfering with all of the old tried and true methods of doing things including how we stop shoplifting. What got me started on this bandwagon you may ask? Let me tell you what started this. My children bought fast food and brought it home and I happened to note an advertisement for a food delivery service that can bring fast food (or other restaurant fare) to your home. Now c’mon, a drive through wasn’t fast enough for you? I mean now we have to have that food brought to us? Geez, let’s hire someone to feed it to us too! And there’s a PHONE APP for this! Why, in my day you picked up the receiver and you put your index finger in the rotary dial and called to see if a restaurant was open or if a pizza could be delivered. And let’s talk about other technology. You couldn’t be satisfied with a beeper alerting you that someone was trying to reach you? No, that wasn’t good enough you had to come up with your fancy flip phones. Okay, I bit and I got one too and guess what I still have one! Now you had to go and upgrade to your smart-phones and all of your apps that you download. You’re turning on and off lights when you aren’t home. You talk to family and friends face to face on a phone!! Even in Retail Loss Prevention the use of Sensormatic labels and towers has changed. It worked just fine when we had to put those big 2-inch EAS tags on merchandise to keep goods from being stolen. Those clunky electronic article surveillance towers worked just fine with their hit or miss tag detection. Now you’ve gone and mucked that all up too! Nowadays we don’t have one-size fits all EAS tags. No, you had to go and make them small and more convenient to protect more types of merchandise. Now you have Sensormatic labels small enough to protect cosmetic items. In my day you just sucked it up and either took the hit in shortage due to theft or you took a gamble and tried to stop shoplifting by apprehending people you suspected of taking a $3.00 mascara bottle. Add to this, Bill Bregar and his company Loss Prevention Systems, Inc. recommending Sensormatic systems and products to his customers as the best method of cutting expenses and building sales through reduced theft! What has happened to the days of using black and white pan-tilt-zoom camera to try to catch that thief pocketing merchandise and the thrill of stopping them and hoping they didn’t drop it? Doggone it you even have Bill recommending a Sensormatic Synergy Camera to attach to compatible antennas to capture alarm events as they happen when Sensormatic labels activate the tower. Need a snapshot? It can do that. If you prefer video, you can have that instead. Oh, and if you think I’ve covered everything you are mistaken. I remember the days when we had to go to a computer terminal to look up reports and research information to help us identify potential theft and to stop shoplifting. Now you retail managers have even gone mobile in your stores and carry your fancy-shmancy phones to access store reporting. So what does Sensormatic do? They create Shrink Management as a Service (SMaaS) to assist managers in their Loss Prevention Programs and enhance sales. In MY day if you wanted to know when alarms had taken place you went to the alarm log and assumed all activity was entered correctly. Equipment problems were identified by testing your system on a daily basis and if you were off for a week then it would just wait until you returned. Now this software can analyze problems for you! On a serious note, the advances in Sensormatic labels and technologies is amazing. While it would be nice if every store could afford a Loss Prevention staff the fact is it is expensive and not in the budget for most small retailers. Loss Prevention Systems, Inc. does have practical and affordable solutions for you. I have seen what they have to offer and they can provide all of the tools necessary to improve your profits. From reduced shrink to improved hiring and staffing processes with their Applicant Management Center they offer everything that I could only wish I had available when I was Loss Prevention Manager and a Manager on Duty for a major retail chain. I recommend you check out their website and yes, go ahead and use your fancy smart phone to do it.